LEED is a program of the United States Green Building Council® (USGBC) and has played an integral role in the increase of responsibly-designed buildings. Despite having originated in the United States, the program has gained popularity worldwide with 167 countries and territories with LEED projects. In order to begin working towards a certification, builders must first understand how the LEED rating system functions. The LEED rating system can be broken down into three main elements: prerequisites, credits and points. Prerequisites are the baseline requirements for the building. All LEED buildings will promote a healthier environment that improves productivity, maintains human health and reduces negative impacts on the environment. Prerequisites simply further specify goals that must be met to achieve a certification. You must select a prerequisite to work towards before you can choose credit and build points. Credits are the steps that must be completed in the building’s design in order to meet a prerequisite. As long as the credit you’re pursuing aligns with your project’s prerequisite, you can select any credit you’d like, even if it’s associated with a different category. Points are given to completed credits based on how effective the design is. The more points you attain, the more efficient your building design will be. Points are awarded to individual credits and are broken down into four levels: Certified (40-49), Silver (50-59), Gold (60-79) and Platinum (80+). You’ll only be awarded points towards credits earned, not prerequisites. Overall, there are five different LEED rating systems or categories: BD+C (building design and construction), O+M (operations and maintenance), ID+C (interior design and construction), ND (neighborhood development) and a separate system for residential homes. All five systems fall within the updated LEED v4 standard. 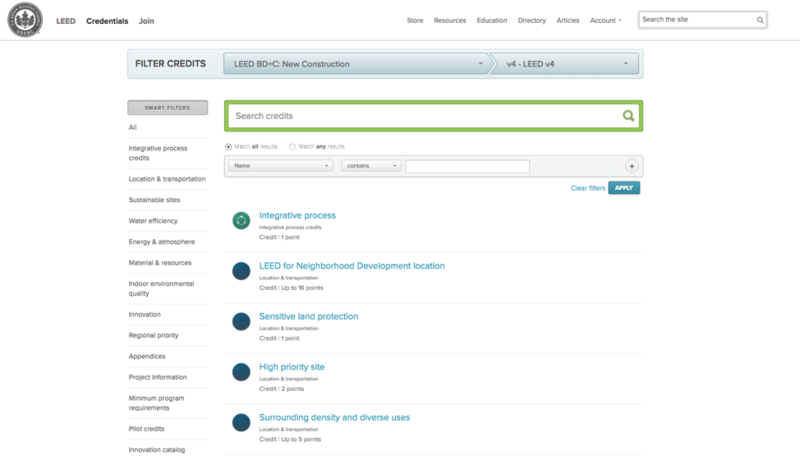 The USGBC website features a complete online credit library, along with a search feature for efficiency. Within this credit library, you’ll find all of the rating systems mentioned above, as well as other categories, such as energy and atmosphere or location and transportation, to further help you in finding the appropriate credits for your project. Start by selecting the appropriate rating system for your project, and you’ll find every credit that can apply to this prerequisite. Not only will you see credits specific to your prerequisite, but also any related credits and prerequisites. Naturally, not all credits are worth the same number of points. Let’s say you are focusing on the prerequisite for improving air quality. The low emitting materials credit is worth up to 3 points maximum, but thermal comfort comes in at 1 point. Keep in mind that there are different prerequisites available under each rating system, broken down by category. For example, if you’re constructing a new building, you’ll probably want to use the most sustainable materials possible, which falls in the BD+C system. Within the BD+C system, you’ll find the materials and resource (MR) category. For this particular combination of a rating system and category, you’ll find two different prerequisites and five different categories that align with both. While all rating systems are important, BD+C and MR is considered to be one of the most important as it directly involves the construction process. The structure of a building and the materials it’s made out of have a significant impact on the environment. The choice of materials of your LEED project is exceptionally important for this reason. Wood is a traditional and popular building material. Though LEED and similar building initiatives have sparked many advancements in alternative materials, wood remains a useful, versatile and LEED-friendly option. The key is to pick the right lumber source, particularly one knowledgeable of their product’s correlation to LEED requirements. 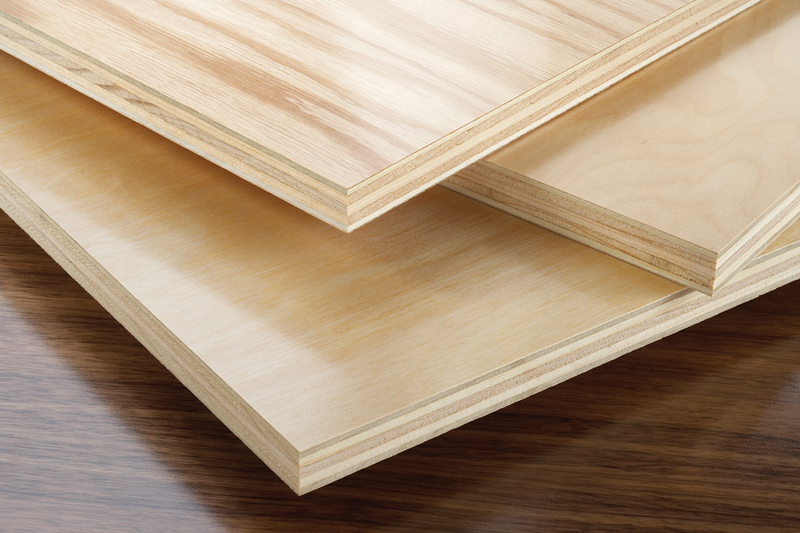 Columbia Forest Products is an excellent source of responsible wood materials that will help you achieve LEED credits in two different categories: the MR category and indoor environmental quality (IEQ). 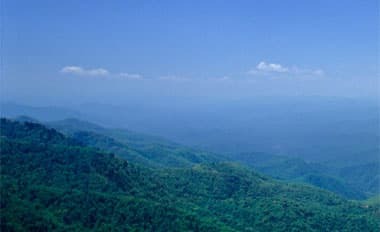 For example, the Building Product Disclosure and Optimization credit require the use of FSC-certified wood, which Columbia Forest Products carries. An effective way of finding what credit you can meet while using wood is to search through the LEED credit library. The current LEED v4 differs from the older 2009 version, so you might find that products that once aligned with a credit may not any longer. Although LEED may at first seem overwhelming, you’ll find that this rating system can actually offer great insight into planning future projects. Once you have an overall goal for your building and have chosen a prerequisite, you can begin to select credits you’d like to achieve. 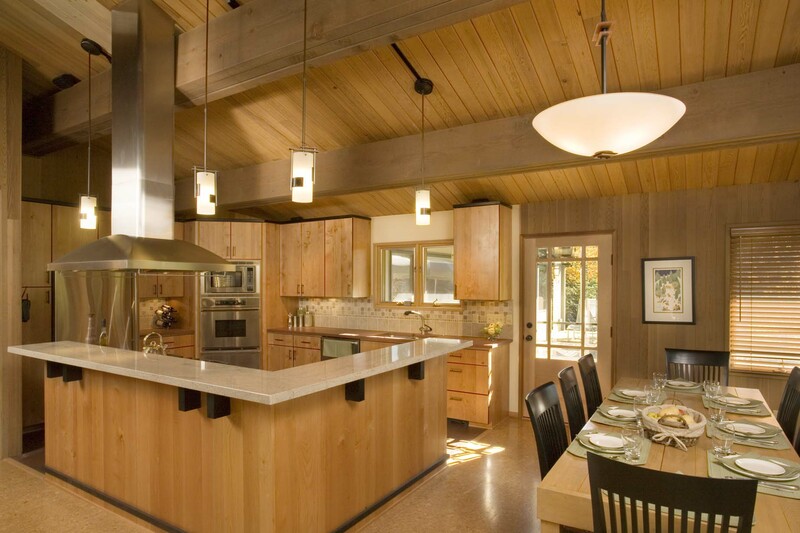 If you want to learn more about LEED-friendly wood, visit Columbia Forest Products’ website or contact us today.